Tommy John surgery involves repair of an injured elbow ligament. 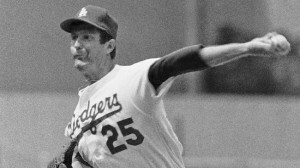 The surgery is named after Tommy John, a former Los Angeles Dodgers pitcher who had the first procedure of this kind in 1974. 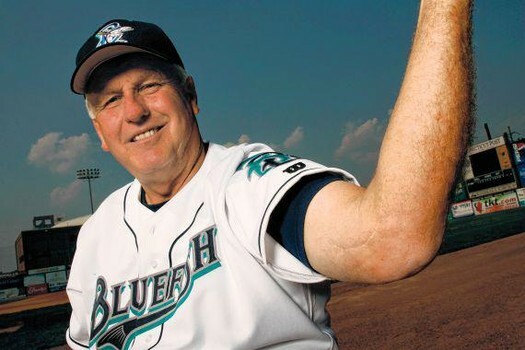 Often called ulnar collateral ligament (UCL) reconstruction, Tommy John surgery is done to repair the injured UCL elbow ligament following an injury, which often occurs in college or professional baseball pitchers. In 1974, when Dr. Frank Jobe performed the first UCL reconstruction, a torn UCL was considered to be a career-ending injury. Now, however, more than 85% of patients who have Tommy John surgery are able to resume their sport at their previous activity level. The UCL is located on the inner portion of the elbow. This ligament connects the upper arm bone (humerus) to the forearm bone (ulna). Baseball pitchers and athletes who are throwers have the greatest risk for a UCL tear or injury. This is due to repetitive throwing motions that bend and twist the elbow, putting extreme stress on the elbow ligament. Over time, the ligament develops tiny tears, or a large tear can occur at any point. The diagnosis of a UCL injury is made through a history and physical examination. 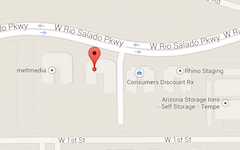 However, diagnostic tests are used to confirm the diagnosis. The magnetic resonance imaging (MRI) scan shows the extent of the ligament tear and injury. With serious UCL injury, Tommy John surgery is done. The Scottsdale sports medicine surgeon takes a tendon from another area in the body, such as the hamstring or Achilles tendon. Small incisions are made around the elbow region. With the arthroscopic technique, a small camera is inserted through incisions so the doctor can visualize the structures on a TV monitor. The surgeon removes any lose bodies and bone spurs, shaves the damaged UCL, and replaces the ligament along the medial side with a tendon graft. 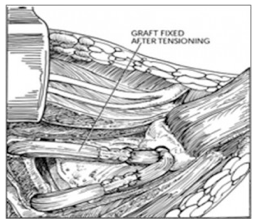 The graft is fitted into tunnels drilled in the ulna and humerus. One common technique for replacing the damaged UCL is called the docking technique. With this, the surgeon drills two holes in the ulna and three holes in the end portion of the humerus, on the inner aspect. 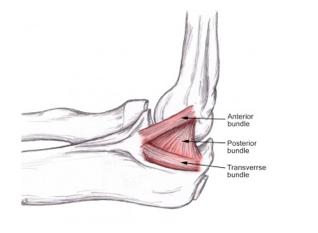 Remnants of the original ligament are also attached with the grafted tendon. After the repair, the incisions are closed with sutures and the arm is immobilized. Phase I – Immediately after surgery (0 to 6 weeks): The patient wears a splint for 7 to 10 days, and does gentle range of motion and strengthening exercises. Phase II – Six weeks after surgery: Begin to perform elbow-strengthening exercises, and avoids activities that stress the graft. Phase II – Around 4 to 5 months after surgery: Athletes toss a ball and begin easy wind-up with throwing. The athlete can start to pitch after around 9 to 12 months.